Looking for a fun and unique way to say Happy Birthday? Our personalised scratch cards are just what you need! 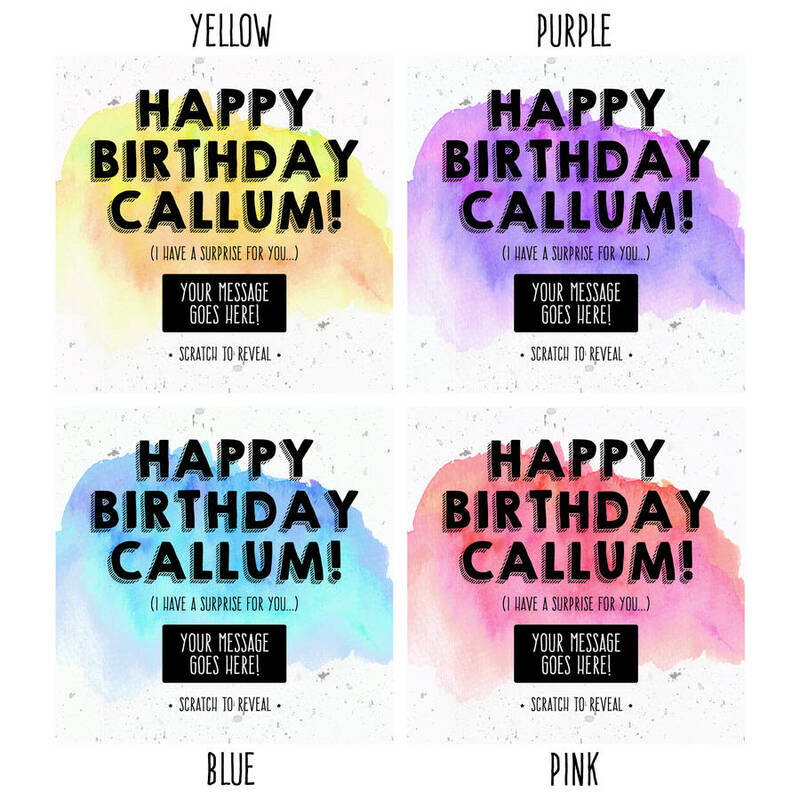 We've taken one of our original, hand painted watercolour backgrounds and digitally finished it in either blue or pink with the words 'Have a very Happy Birthday (your name goes here)', 'Scratch to reveal' and then below a silver scratch panel will be your own personal message. Our scratch cards are also the perfect way to announce a surprise too! 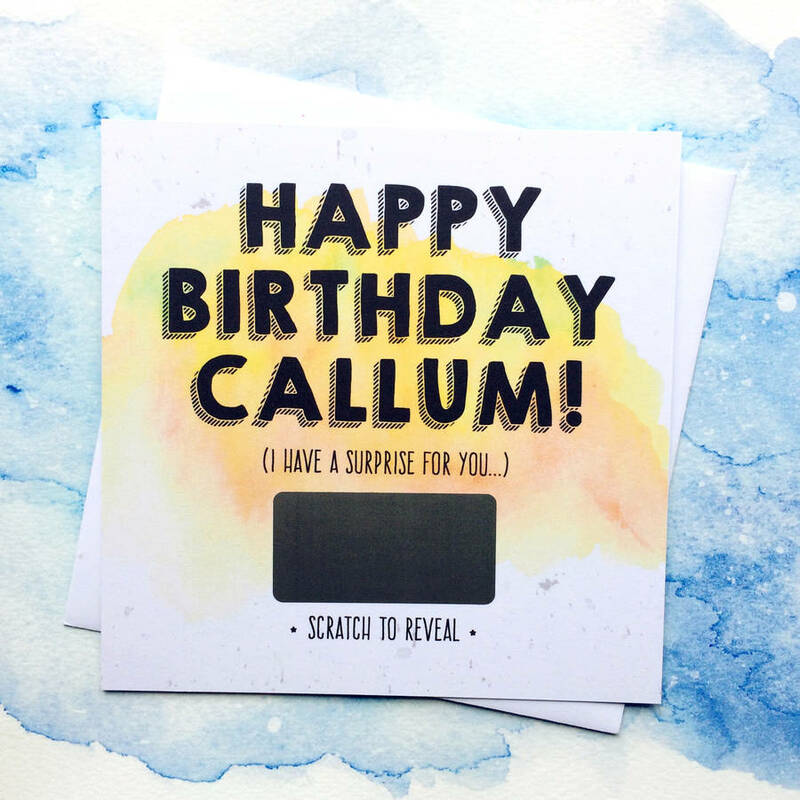 Our cards are left blank inside for you to write in your own personal greeting. 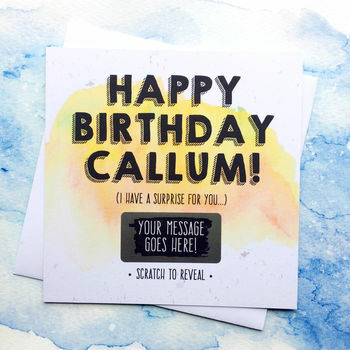 This card will be personalised with your choice of name, optional line of text (i.e. I have a surprise for you...) and message of up to 30 words max. that will be revealed once the silver panel is scratched with a coin! Available in 4 colours; Yellow, Purple, Pink and Blue. This product is dispatched to you by Philly & Brit.